Mykonos is incontestably one of the most famous destinations in Greece, being an extremely cosmopolitan and picturesque island. 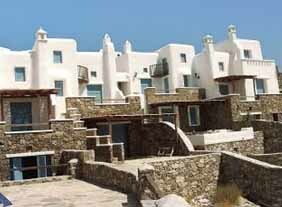 The impeccable combination of the modern lifestyle of the inhabitants and the visitors with the natural beauty and the traditional profile of the island is the irresistible allurement that has rendered the island of Mykonos one of the most frequented Greek resorts. 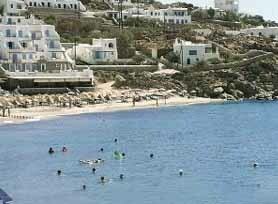 However, the intense tourist effect of Mykonos is a fact for some decades now, while the impressive tourist evolution of the island is in constant development, offering a handful of opportunities in the field of real estate investments. 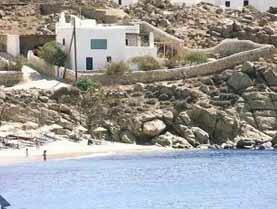 So, if you are considering the thought of making an investment on the island of Mykonos - buy or rent a villa, a house, a complex, for residence or for starting a business - seize the chance to take advantage of the indisputable prospects of the island of Mykonos. 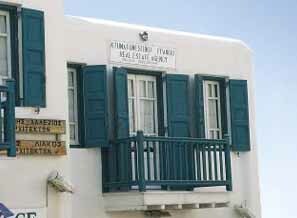 Leonardos Paleologos Real Estate, a reliable and responsible agency in the field of real estate investments, established in 1996, has covered during the past years a creative course of constant evolution and therefore has managed to provide the clients, who were interested in the superb island of Mykonos, with an amalgam of integrated and qualitative services. Mr Leonardos Paleologos, the owner of the real estate agency, carefully considering the needs, the tastes, the desires of the clients and basically relying on its experience and knowledge of the market of Mykonos, primarily aims at establishing trustworthy dealings with all the clients of the agency and consequently at providing them with full-scale satisfaction. Leonardos Paleologos Real Estate Agency, offering an extensive variety of choices, such as businesses, plots, residences (villas, maisonettes) and hotels, is capable of adjusting to the needs, the desires and the tastes of each client, by recommending the proper and ideal solution for every client individually. This fact renders our agency the unmatched choice. REAL ESTATE AGENCY, please share your opinion of it with other travelers. Write a review!